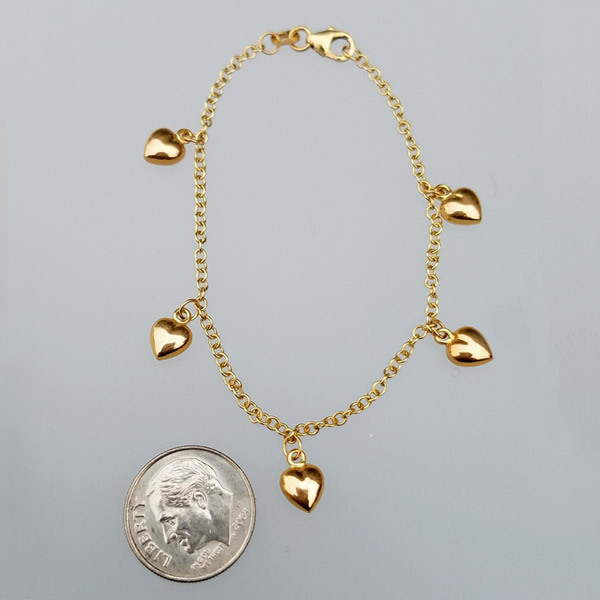 What a sweet charm bracelet, 14k yellow gold link style with five adorable 3D heart charms. Lots of links on this bracelet to add additional charms. 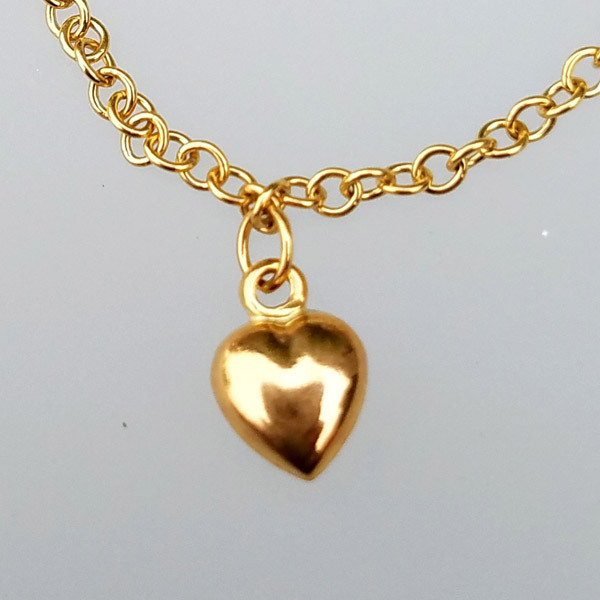 Each heart charm is 6mm.